Volunteering is a wonderful way to build confidence, to meet people and socialise, to learn new skills and to put something back into your community. But you can also face challenging situations while volunteering and need to feel supported and appreciated while giving up your time for free. 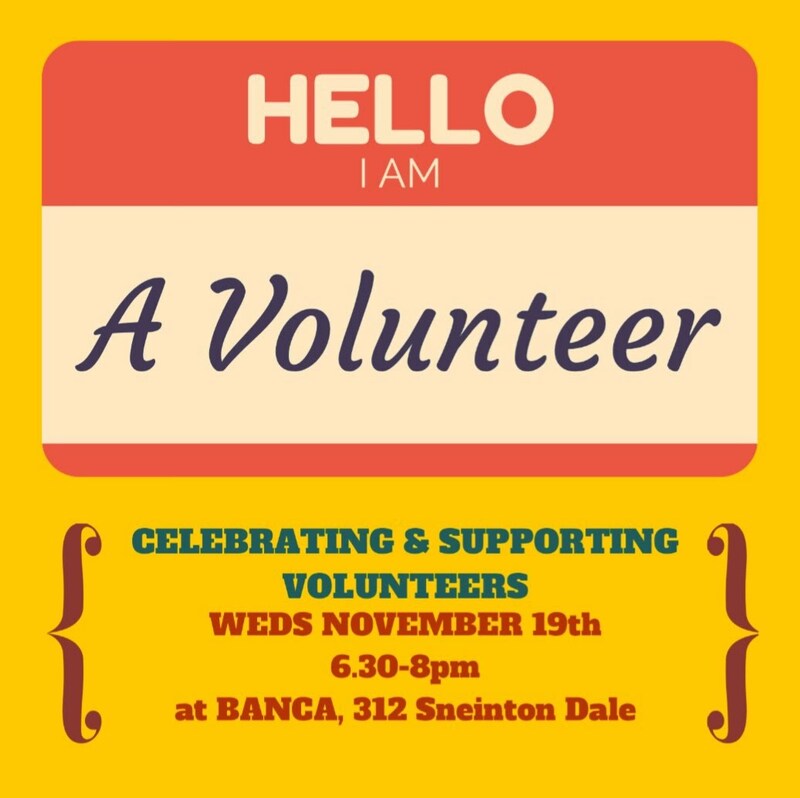 If you are a volunteer or considering becoming one, if you are part of an organisation which relies on volunteers, or if you just want to meet up with friends and neighbours, then this get-together is for you! Please share this post with people you know who might want to come along. All are very welcome to attend, join the conversation, find out more and make sure your ideas are heard. See you there!